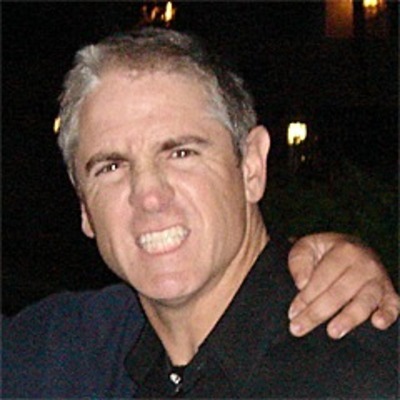 Carlos Jaime Alazraqui (born July 20, 1962) is an American actor, comedian, impressionist, voice actor and singer. He is best known for his role as Deputy James Garcia on the Comedy Central series Reno 911!. His voice-over work includes the role of Bobbi Fabulous on Phineas and Ferb, the Taco Bell chihuahua, Denzel Q. Crocker and Juandissimo Magnifico on The Fairly Odd Parents!, Rocko on Rocko's Modern Life,Lazlo in Camp Lazlo, Mr. Caliente in Fish Hooks, Stinkbug in T.U.F.F. Puppy and as Mr. Weed in Family Guy. In 1994, he auditioned in Nintendo of America for the voice of widely popular video game star Mario but was beaten by Charles Martinet. Alazraqui was born in Yonkers, New York on July 20, 1962, to Argentine parents, and moved to Concord, California, at an early age. Eventually, he moved to Sacramento to attend college at California State University, Sacramento, where he began competing in open mic contests. After winning in his fourth year of competing at the San Francisco International Comedy Competition, he took his prize money and moved to Los Angeles.